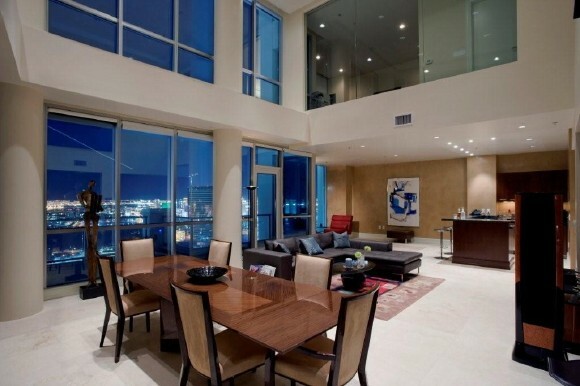 Las Vegas Penthouses are the Epitome of Las Vegas Strip Luxury Real Estate. The photo above is of a rooftop pool in a Penthouse we had for Sale in Turnberry Place. You will notice this rooftop is also appointed with an outdoor fireplace. In another area of the rooftop, is a raised spa with curved glass wind barrier surround. These Turnberry Place Las Vegas penthouses are bi level and then have several thousand square feet of outdoor living with glorious views of the Strip and the entire Las Vegas Valley. The Waldorf Astoria & Veer Towers Penthouses located in the $9 Billion MGM City Center are some of the finest strip real estate for sale in Las Vegas. Located directly on Las Vegas Boulevard and positioned just an elevator ride away from the glamour and entertainment of the Las Vegas Strip, residents have a myriad of amenities available, and views that take your breath away. 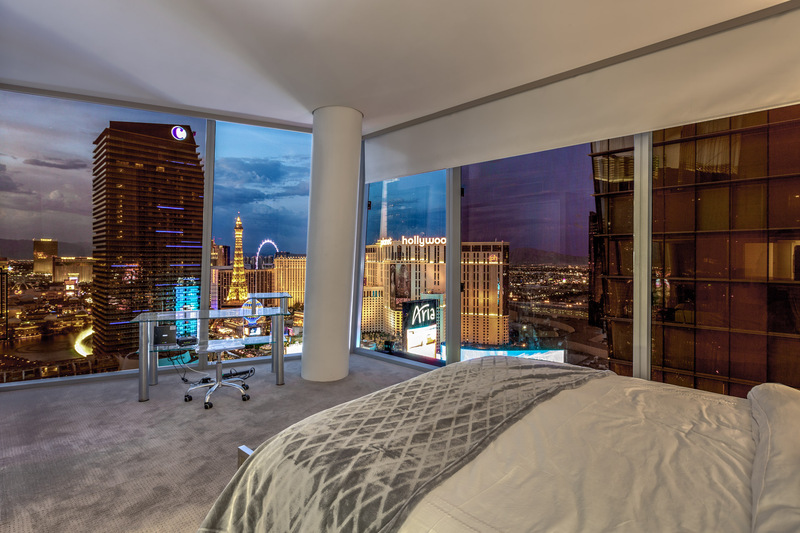 When you think of Las Vegas strip real estate, what first comes to mind are luxurious and prestigious Las Vegas Penthouse condos in the sky featuring walls of windows overlooking the shimmering glass high rise buildings that have redefined the Las Vegas Skyline. 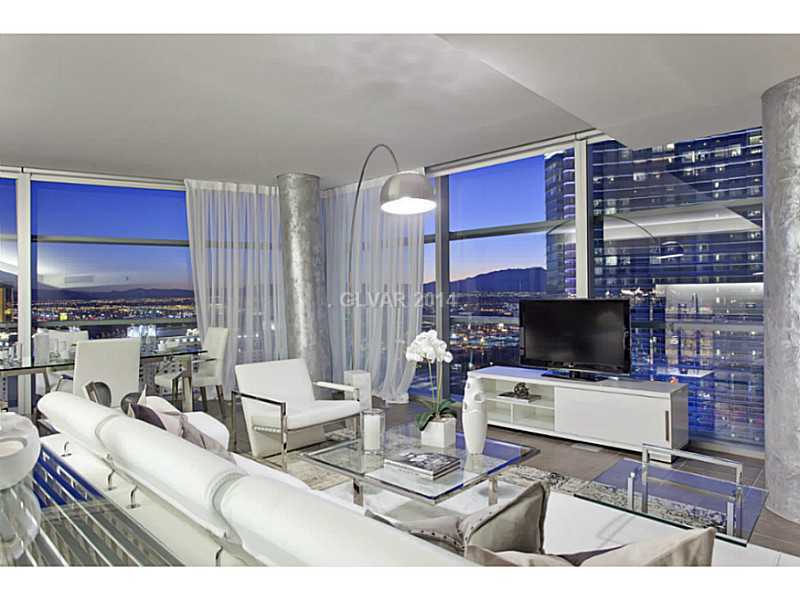 Las Vegas High Rise Penthouse Condominiums offer a distinctive and exciting lifestyle in the City that never sleeps. These ultra luxury condos are typically found at the top of the high rise towers and are offered in various degrees of style and finishes, and some are delivered "Grey Shell" or "White Box" ready for your designer touches, others have been completely decked out, some are multi level with roof top pools, spas and even outdoor kitchens! Spacious floorplans, a myriad of conveniences, and access to the action of the Las Vegas Strip make these Penthouses desirable for those who desire to live in the lap of luxury Las Vegas Style. 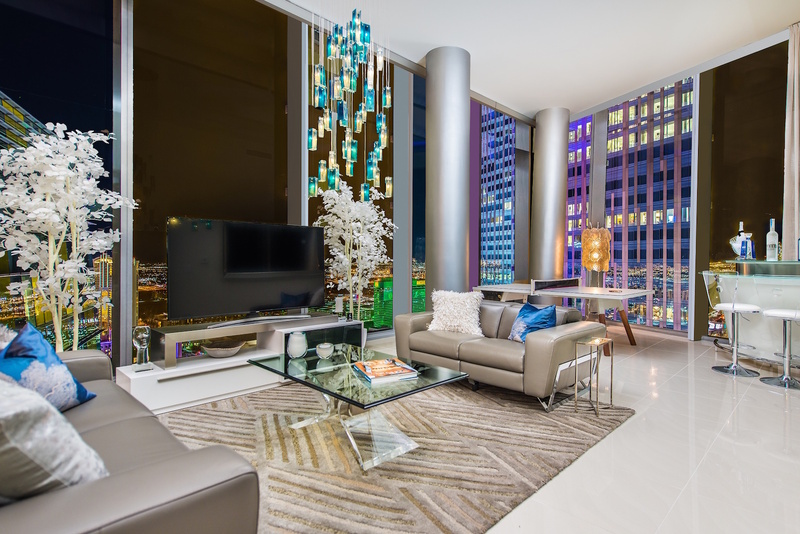 Our Sister Site contains listings for Las Vegas Penthouses & Luxury Condos that are updated daily from the MLS and feature luxury penthouses for sale in luxury high rise towers in One Queensridge Place, Veer Towers, Waldorf Astoria, Sky Las Vegas, Turnberry Place, The Martin & Panorama. You can easily search and view the finest in Las Vegas Luxury Condo Living. Las Vegas Strip real estate, and Penthouses in particular, are diverse in design and what each developer terms as Penthouse inventory. For example, Sky Las Vegas has FOUR single level Penthouses on the 42nd floor that are about 3000 sq. ft each, and atop of those are 4 ultra luxurious SKY TOWER SUITE PENTHOUSES that are two levels and feature interior elevators, rooftop spas, and outdoor kitchens on expansive terraces. THE WALDORF ASTORIA features penthouses on floors 41-47. One Queensridge Place Penthouses are on the 16th floor. 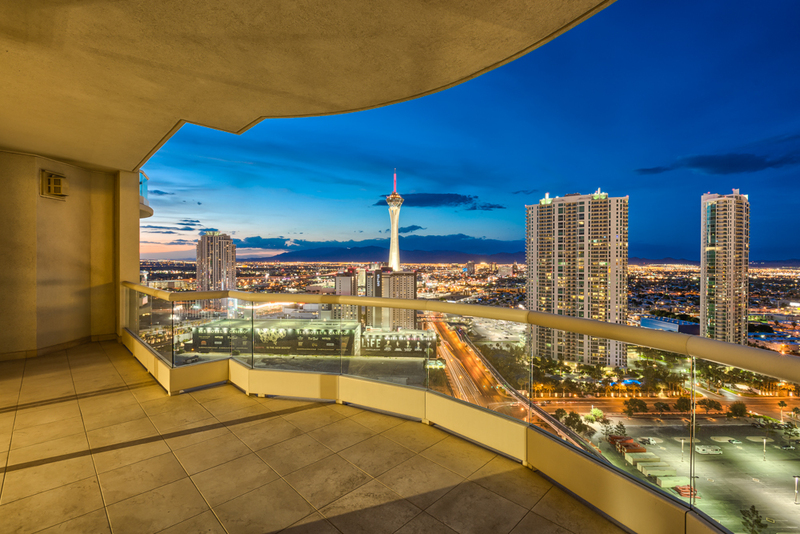 If you're looking to purchase a Las Vegas Penthouse, give us a call. We are in the know. 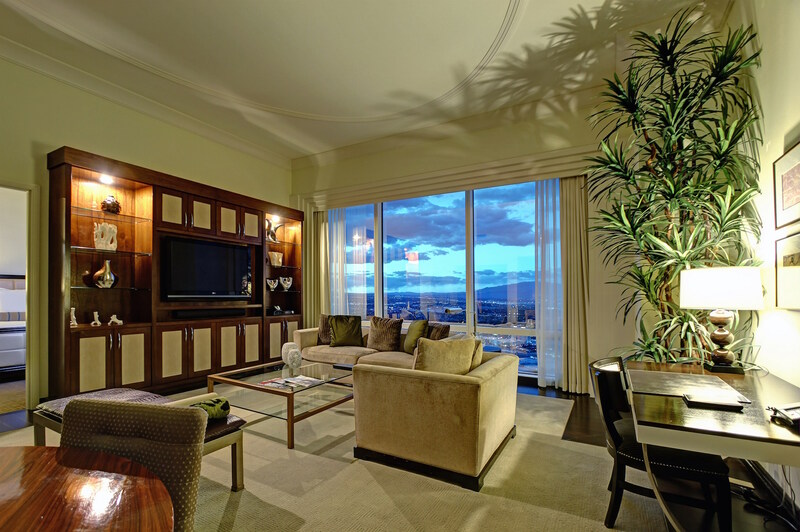 The Waldorf Astoria has some stunning penthouses right on Las Vegas Boulevard, Center Strip. *Broker Tip Waldorf Astoria Penthouses Start on the 41st Floor and go to the 47th Floor. THE MARTIN has awesome penthouses for sale. These buildings have the prime Harmon Corridor location that ranks as some of the world's most desirable real estate. At 45 stories high, the views will dazzle you from The Martin, a Las Vegas High Rise Condo Building with a very sheik vibe. Trump Las Vegas Condos have 5 floors of Penthouses that are fully furnished and can be placed in an on site rental program if so desired, ranging from floors 60-64, with the 64th floor having extra high ceilings and amazing forever strip and mountain views. Mr. Trump himself stayed here just before his Republican debate given across the street at The Wynn. Units available from $1 Million+. Enjoy Browsing The Best of Las Vegas Strip Real Estate. 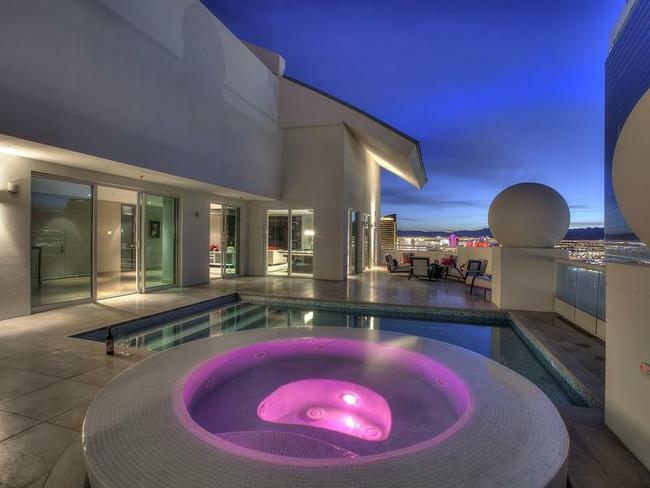 Contact The Stark Team For All Your Las Vegas Luxury Penthouse Needs.